For years, I have been a dedicated Firefox user. Before Chrome, Firefox was a browser that really met my needs. Firefox was faster and more flexible than Internet Explorer. Firefox was innovative, supporting tabs, add-ons, standards, and multiple platforms. Over the years, I customized my Firefox environment to meet my needs, with add-ons that made my many tabs manageable, that enabled my news curation on Twitter, that remembered my many user names and passwords.I’ve retained Internet Explorer, since many corporate apps I use are supported only on IE or otherwise don’t work well on Firefox. But my main browser use has been with Firefox until recently. I’m sad to say that this post marks my final use of Firefox. I’m switching to Chrome finally, with IE for some corporate apps. This is not a sudden decision of mine; rather, this is a decision I’ve been putting off for a while in the hopes that things would get better with Firefox, but things just keep getting worse and worse. What are my complaints? I rely on Firefox add-ons to achieve productivity and for their many innovations. Yet, the good folks at Mozilla have decided to frequently update Firefox and to do so in ways that are not upwardly compatible. Firefox updates unpredictably break add-ons on which I rely. With each update, and updates now seem to come about once per month, some add-on is broken. You might argue that the add-ons I need are not likely to be available on Chrome, but more and more of the Firefox add-ons I need are not maintained with the same cadence as Firefox. I think the add-on makers are demoralized and are giving up. You might also argue that I could find other add-ons to replace my favorites, but who has the time? And, anyway, you just know that no add-ons will keep up with the Mozilla cadence. If you are going to that update cadence, you need many things to be upwardly compatible. 🙁 At the same time, Google has found a way to do frequent Chrome updates while keeping updates compatible enough to keep Chrome add-ons working. Firefox has become a slow, buggy, bloated product with little apparent innovation. With all these releases, you’d think you’d see tremendous changes from release to release. Instead, other than breaking the add-ons, I can’t see any improvements in user experience or functionality from Firefox 20 to Firefox 23. 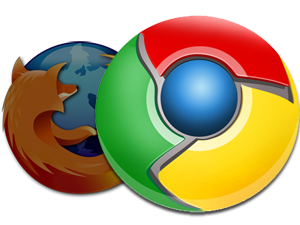 These days, it seems like most of the innovation is in the Chrome ecosystem. In the past, the innovation seemed to be partly in the Mozilla team, and partly in the add-on ecosystem, but that add-on ecosystem has all but ground to a halt. Back to Firefox being slow and buggy. At least once per day, Firefox becomes unresponsive; sometimes it recovers after a few minutes, but more often it just hangs and must be forced to shut down. Firefox has become very unstable. But Firefox is also slow. I know that some recent projects focus on Firefox performance and some recent benchmarks show Firefox performance improving, but that is not my experience. In fact, the more tabs you have open, and the longer the pages you view in Firefox, the noticeably slower it gets. And then it crashes. And takes a VERY long time to restart. In the end, though, the killer for me is Firefox’s constant upgrades blowing away its crowning jewel – the add-on ecosystem. Without add-ons, Firefox is just another browser. Stacked up against Chrome, Firefox lacks adequate support for Android, lacks stability, drags slowly on start-up (especially on restarting after crashing), and shows little or no innovation. Mozilla needs to slow down the upgrade cadence, attempt some bigger and more innovative projects, support the add-on ecosystem to be ready with updates whenever the browser gets updated, and find a new reason to exist beyond fighting the bygone bogeyman of Microsoft hegemony. 2) It has tree-style vertical tab bar capability (via addon). I was surprised to see this when I tested yesterday. Firefox was using about a quarter of the memory used by Chrome! Right up to the point where it crashed … 🙁 I miss the good old days of Firefox, before their nonsensical upgrade strategy combining rapid updates with poor upwards compatibility. Absolutely agree, had very similar experience ages ago, around Firefox 3.0, I aired my frustration here and here. Back then Chrome did not support Extensions, so I waited till they did, and switched – haven’t looked back yet. Incidentally, 42% of our readers at this site use Chrome, while 15% use Firefox. More like you’re retarded and a massive FAIL. Firefox blows away overrated Chrome botnet garbage. Just write at the start of your articles, “I’m a Chrome fanboy” so we can ignore your articles. I agree with your comment, generally, except the parts about me being a Chrome fanboy and the ad hominem remarks. I have used Firefox since it was available. I customized the heck out of it to make myself productive. The problem is inherent in the review you posted above, which was posted less than two months ago and is already obselete – because Firefox released yet another release which breaks even more add-ons. Firefox may be a better browser than Chrome, but my point is that Firefox plus add-ons is worse than Chrome plus add-ons. When I find an add-on that works for me, I want it to work continuously more than I want yet another featureless but marginally faster upgrade of Firefox – but Firefox’s constant incompatible upgrades break add-ons. I don’t understand why – Chrome add-ons don’t seem to go obselete. I am not a Chrome fanboy. The constantly running background processes (which I disabled) are quite annoying, and there are little problems here and there (e.g., when running Chrome, my “auto-hide” taskbar on Windows doesn’t “unhide”), but it has the advantages I mentioned above – add-ons work and I can upgrade when I want to. @Chromesucks, ad hominem attacks are not tolerated here. The only reason your comment did not get deleted is that Dennis actually took the time to respond. With the latest upgrade, Firefox crashed frequently. I had access to its usage from anywhere from a few seconds to no more than a couple of minutes. I tried reverting to the previous version without success. I finally deleted Firefox completely. It’s sad but true that Firefox does not appear to be getting more stable – in fact, as you suggest, my experience is that Firefox is getting far less stable with its accelerated release schedule. I’m surprised to find that your firefox becomes unresponsive at times. For me, it doesn’t do that often (v23). I too hate the constant upgrades. I have added & deleted so many different addons for my firefox that it’s become really bulky. I hear that Chrome secretely sends stuff to Google and even my unborn child already has a thick folder in their database. Hey, I don’t want them to know my SSN or credit card # unless they hire me! I am sure that my Firefox instabilities are the result of the many add-ons I have installed, but that is also the crux of my argument – the add-ons ecosystem is broken. Also, Firefox 24 is getting lazy bytecode generation, which cuts down on compiling scripts that end up not running, which is IMO a substantial improvement because of sites including stuff like jQuery, and that’s also going to be the base of the next ESR version. I’m not aware of any add-ons that specifically support the ESR, but it does tend to be within the support range of quite a few add-ons. At this time, though, there are notable exceptions with their latest versions, like Ghostery and Firebug. Regarding the latter, Firefox has been doing many, many under-the-hood changes since releasing Firefox 4, including some big ones that really change how it works behind the scenes, and they’re regularly pushing those changes to users who are receiving updates on every channel, except the ESR until it gets upgraded. The Add-On SDK was supposed to mitigate this (by introducing Chrome-like extensions), and Mozilla was supposed to integrate it into Firefox to further mitigate this, but I haven’t used any add-ons for a while now or stayed up-to-date on the add-on situation since Firefox 15, so I don’t know if this is still true. @Jo – I’m not sure if you are affiliated with Mozilla or the Firefox project, but maybe you could suggest to them that they organize the add-ons ecosystem to really rally around the ESR releases. Just a thought – thanks! Dennis, if you don’t like the frequecy and/or quality of upgrades, why bother upgrading at all? Stick with a version you’re happy with – no one’s forcing you to stay current (unlike Chrome). And when you decide to try a later version, test it first before committing. In the enterprise, changing software versions without adequate testing is perilous at best. @xhtml – It’s hard to ignore the constant reminders to upgrade, plus the security risks of not upgrading get wide publicity. Add-ons have not been stable and widely upgraded since the rapid cadence program started, so it would be hard to find a version that I would have been happy with – and those old versions lack competitive features and performance. The ESR thread above is an interesting opportunity – Mozilla should rally the add-ons ecosystem around the ESR releases (as a minimum). I found this page because FF 23 doesn’t display Google maps and was looking for a solution. Also when i open another page, it suddenly switches back to the previous one. And all the other problems mentioned. I don’t like chrome but I am forced to leave FF after a decade or so. Hopefully FF monitors this page. I agree. I’m also switching to Chrome, even though I’ve been a Mozilla user since it was called Netscape. The straw that broke this camel’s back is that Firefox 23, 24, and the beta of 25 are all incompatible with Twitter. Clicking on another Twitter user is supposed to bring up a profile summary, but this no longer works in Firefox. Goodbye, Mozilla: it was nice while it lasted. I too have a long term user of Firefox and had abandoned IE for a long time, except for some sites (like company Webmail) which runs properly only in IE. But in the last 2 months, Firefox had become so painfully slow and usable in the office, while IE got better with later versions. I had initially thought our MIS had done some blocking and they finally created for me me a special proxy server that has nor firewall blocking (and added only a few users on this server) but the same Firefox problems exist, while IE actually become faster (I guess to to he minimal users on the Proxy). Interestingly, I do not have the same problem at home and Firefox ran fine as he always had. Also, I only had a few add-ons which I have tried disabling in the office but to no avail. There must be something that caused Firefox to have “clashes” with my office network system and our MIS had not made any changes.So what has changed in Firefox (starting form version 21)? If things don;t get better soon, I will have to start using Chrome (seldom used it and had not even installed on my new Dell 4700 Notebook) or maybe I should just use my instead of avoiding it when I can use Firefox. I had more or less the same experiences, with some added disgust at the way they hid the simple functions like undo (I frequently have to rely on the one-hand-mouse-click method)… I rarely use more than 6-8 tabs at a time but he program hangs and I sometimes have to kill the process. java scripts freeze… it’s not good at all. I am rather successful on Google+ though I am really a Google hater and I only use Chrome for comparison reasons – just to make that clear. I had gotten used to Firefox over the years so I would really like to stick with it, but I man using IE a lot lately. IE isn’t exactly fast either, but it is much less buggy by now. I think Mozilla should do a complete redesign as the monthly hole-filling obviously isn’t doing the job. Interestingly, I can’t see any Disqus forums since two days – what the hell ? there was no access to G+ about a month ago – “only” for users with Adblock installed. The problem went away but was exchanged for different ones. Hail Microsoft – here I come. Also unhappy with these constant updates that really don’t update anything noticeable. I used to be able to keep upwards of 20 windows open, each with multiple tabs. (I’m a heavy surfer!) Now it crashes whenever I top 10 windows or so. There are problems opening PDFs in the browser as well as with leaving comments at certain sites where that wasn’t previously an issue. I’m very disappointed, but I don’t want to go back to IE, which is too bloated for my liking, or Chrome, which I understand communicates way more personal data to Google than I feel comfortable with. I’m ready for something new. I like Firefox very much … now for the, ‘however,” … “Firefox update,” translates to me as, “now which of my add-ons will be incompatible.” Update announcements are also almost always accompanied by a rolling of the eyes and glance at the clock so I know which hour of the day I will have to waste if I choose to update at that moment. I have been using Firefox on a Toshiba Notebook running Fedora Linux for several years and since Firefix ticked over to the “20’s” it has become noticeably slower and slower. Under my configuration I think part of the problem is any sites that use Flash (which seems to be most). I’ve monitored the system and that damn plug-in container hogs the system. I kill the container process and in the time the container process takes to start itself up again, Firefox runs fast for those few seconds. Setting the preference dom.ipc.plugins.enabled to either false or true makes no difference. Dennis thanks for you information. I too have been a Firefox users for years, and when memory was an issue on my older Single Core 1GB RAM machine I was not impressed with Chrome’s loading all the add-on’s into memory, but now that I have 8 cores and 32GB of RAM I favor the Chrome Product. I initially thought the issue was my configuration with Linux, but it ran okay on a single core with 1 GB RAM as it did in Windows XP with 1 GB RAM, so i was concerned about maybe the multitasking of the 8 cores in this version of Linux, but since it seems a lot of people are having issues I can see I need to waste no more time with Firefox. I would never be as presumptuous as the person/troll above to think just one perspective is the right one, but it would appear many are having issues, and since I do use a lot of add-on’s I appreciate your sharing your perspective. I was just concerned something was wrong with my new hardware, but since it only seems to happen on Firefox I feel much better seeing everyone’s support. I agree with the author 110%. I recently had a “discussion” with fine folks over at r/firefox subreddit wherein I tried to explain to them these exact same things – the real power of Firefox are the addons. And what’s the first thing that the rapid release philosophy hurt? Addons. Damn it, Mozilla devs! Also, here is a techcrunch article where I shared my thoughts about the recent development of Firefox (it’s a long read), my comment is the Sep 11. 2013 one, I posted as greendestiny there. I have been using FireFox for the duration. I have always had Updates turned OFF. In the early versions, I could see what the updates were and select to update or not ( Help-About page ) Now, that button is an “Update Now” action .. I use no add-ons, so I cannot speak to that. I keep the shockWave flash plugin disabled – seems to slow sites and increase CPU when used – until I hit a site where I need it. For me, it comes down to the old .. If it has no new benefits ( ie, works the same as the one I have ), why update? Security holes, sure, but not as frequently as they have it …. If you are referring to using Firefox 3.6, you can use it, for now… but after a few years when web standards change and HTML5 kicks in, Firefox won’t be able to handle websites, probably important ones, by big companies like Google, Microsoft… websites like Bing, Google search, YouTube… you won’t be able to view them properly. I’ve been using Firefox since 2007 or 2008, I can’t remember. But I’ve always loved it. When Chrome came out, it was so fast and responsive, that I didn’t care that there were no extensions for it, I still used it. But later Chrome became slow and bloated. On a brand new installation of Windows, I install Chrome and after a few hours of usage, when I open new URLs, the tabs stay blank for 5-6 seconds before the pages start loading. This was really frustrating and I started jumping between browsers. Noting satisfied me like Firefox and Chrome did. Then later, when Firefox 4 came out, I started using it, and I used it till soon, because no matter how I optimized it, it would still be slow at loading pages, irresponsive and freezing. Right now I’m still jumping back and forth between browsers and I’m really frustrated, because I’ve found a music application (foobar2000), a torrent application (qBittorrent) and many other applications for my needs that are just perfect, but when it comes to choosing a browser they all have turn offs for me. I also switched to Chrome this year on my computer at work. Mostly because Firefox crashes all the time (up to 10 times a day). It’s especially bad ’cause I have a slow computer. I often have a lot of stuff open in different tabs, sometimes with formulas half filled (I manage the content on our websites.) One page crashing in firefox crashes all tabs, it is so infuriating. So I switched to Chrome; chrome keeps each tab in a separate process so one tab crashing is less dramatic. Also I was experiencing weird CPU guzzling of firefox when working with drupal sites, and since most of our sites are drupal-based, I couldn’t work like this. This is all too bad, because I generally prefer firefox’s interface. Chrome’s handling of bookmarks is abysmal at best, but I don’t have much of a choice, compared to firefox’s instability and abysmal performance… And Opera doesn’t do it for me anymore. I have to shut down FF every so often, because I’ll look, and it will be using up to 2Gb of memory!! I can see it running significantly slowly at this point. I would switch to Chrome, but there are a few specific FF extensions that I rely on, that I still haven’t been able to find on Chrome. Once those are released, there is a good chance I will change. What bothers me the most about these new FF rapid release updates is that they are made purely for the developers, not for the users. And the user should be first, no matter what. After all, without users, FF just becomes another Opera (though in all honesty, Opera runs a lot better than FF these days). The other thing these rapid updates lose out on is the hype that goes with a new release. Anyone remember the releases of FF3 and FF4? They were huge – people campaigning around them, lots of hype, most downloads ever in 24 hours. Now I don’t even know when the updates happen, or what has changed. And I can’t be bothered to look it up every so often, because when I finally check there have been like 4 updates that I never saw. Firefox has become a victim of its own success. The organization behind it let the success go to their head, so that they have decided they know what’s best, without looking at what’s best for the users. It’s sad, I used to recommend it to so many people. Now I tell them to use Chrome or Opera. Over time Mozilla has removed features from Firefox that I used… so I re-added them with addons. Perhaps I am rare in that I considered FF2-3 to be nearly perfect. Reverting all the changes is a hefty ordeal – close to 30 addons to fix/undo all the broken behaviour. What results is a browser that leaks so bad, if you open 10-15 pages and wait an hour, it will have leaked past 1GB of usage. At that point the interface goes nearly unresponsive – I believe that is what ‘Long time FF-fanboy’ is talking about… it can take up to 10 seconds for it to respond to clicks. Due to that, I added another addon to Firefox… a restart button. This is all on incredibly powerful hardware – 5ghz, 32GB RAM, 512GB Crucial M4, etc. – the browser is honestly the single slowest/heaviest piece of software on my computer… and that includes all my games. I agree wholeheartedly. The “update” frequency has become ridiculous for no apparent improvement in speed or stability, but almost every time one of my carefully chosen add-ons gets broken. I have wasted many hours researching alternatives,sometimes without success, or have had to get used to reduced functionality or a worse user experience. I’m particularly annoyed at how, if you opt to make an update, Firefox does not make any effort to tell you if any add-ons are going to get broken until AFTER the new version has installed, and gives you no way to back out of the install process. Even the “Cancel” button on that screen just goes ahead and gives you the new version. Well, Version 26 was the last straw, when it broke “Download Statusbar”. The only alternative I can find is simply not as good, so I will make the effort to go back to v25 and will later find some time to go back even further to see if I can get other add-ons working again, such as the particular improvements I had found for the frankly pathetic standard Bookmarks drop-downs. Upgraded to Version 26 and now Firefox is totally unusable. Every site I try to access it blocks saying the credentials are invalid. Amen to (almost) all of the above. The rapid revisions are generally incremental changes (and LOTS of fixes) that shouldn’t turn the full version number. There is no sin in taking some time to think things through (to see if a good idea is actually a good idea), then test, test, test, and then take all of your stakeholders (extension builders, end users) along with you. Today’s Firefox seems to be all about an insiders’ designer/programmer/coder club. The end user is an afterthought. I come of this opinion after reading responses to end-user complaints and suggestions on various Mozilla sites. The responses are usually in the vein of “you don’t understand that this is an IMPROVEMENT, so just be quiet and take what we give you.” Such a shame, really. And now I hear they’re killing the Add-on bar (which inadequately replaced the Status bar). Sigh. Since the writing of this article 11 updates of Firefox have been released…. enough said.